If you read my earlier post about our land you know that I have a beef with the elks. 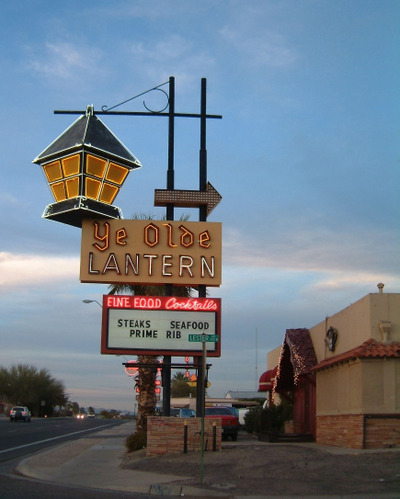 They purchased one of my favorite Tucson spots, the Ye Olde Lantern, and turned it into a horrible, generic tan stucco box. 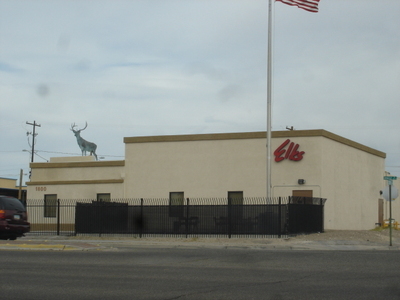 Worse, when I spoke to the Elks before construction they assured me that the sign was not going anywhere since it was a landmark. When I gave them my name and number and business card I assumed they would call if the sign had to come down. I was wrong. I just happened to drive by when the sign was already down, knocked over with a backhoe, and loaded onto a truck heading to the scrap yard. So much for 7 decades of Tucson history. Anyhow, I thought I would post a few more photos of the before and after. The new news on the lantern is that it is going to Dirk of Endangered Architecture, where it will be part of his collection or become part of a public art project in the very neighborhood it used to inhabit. Good Karma. 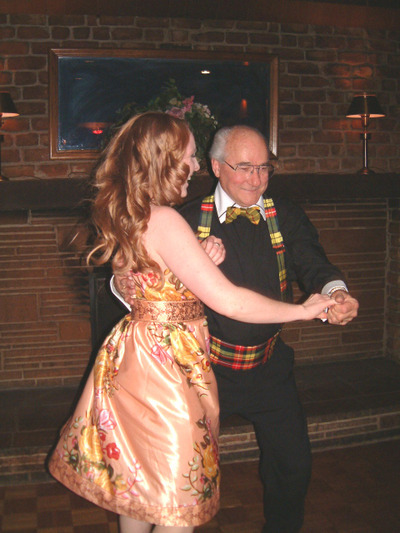 So first two shots are from the last dinner service at the Lantern, an outside shot of the sign and an interior shot of my friend Liz dancing with one of the regulars. This was the kind of place that had a fireplace and live piano and dancing. Classic. Last shot is the stark, sad bleakness of the building today.